Tarleton President Dominic Dottavio’s approval has gone up among faculty since 2014. 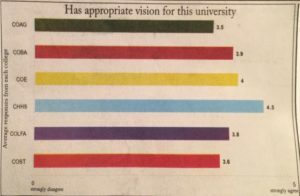 According to the 2017 Faculty Senate survey, Dottavio’s ratings increased in all but one of 12 categories. The ratings for Provost and Executive Vice President of Academic Affairs, Karen Murray, went up in seven categories and down in five. The deans of Tarleton’s six colleges were also rated by faculty and their scores, along with Dottavio’s and Murray’s, are shown in the accompanying graphics. The Faculty Senate survey is designed to get feedback and measure satisfaction from faculty members on how they feel the administration is doing in the environment that they work in. 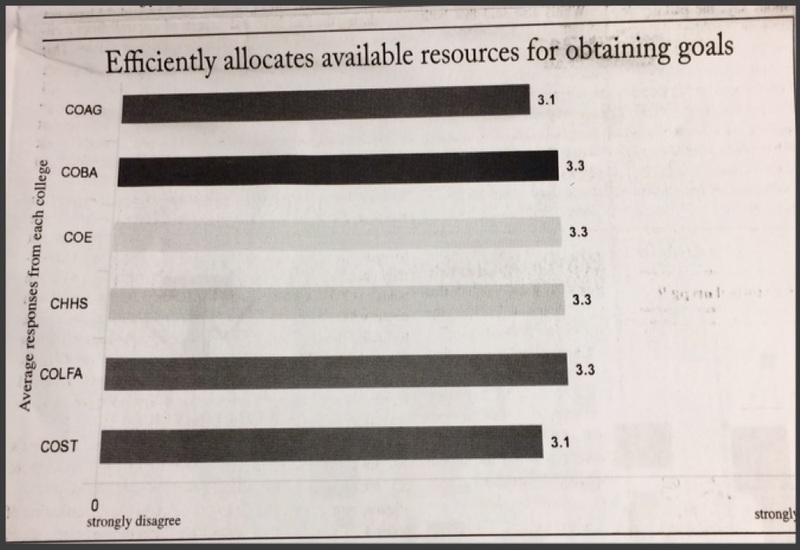 Texan News compared the surveys from 2014 to 2017 to see how much has changed according to the evaluations. 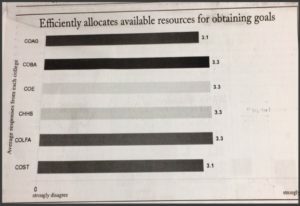 The 2014 survey was sent out via email on Jan. 15 and closed on Feb. 4. About 290 surveys were sent out and 165 responses were received. The 2017 survey was distributed to 355 faculty members and 186 responses were received. Language in the survey document said no personal identifying information was collected and extreme caution was taken to ensure the respondents’ anonymity. The 2017 survey divided the data of the evaluations of Dottavio and Murray by each college. 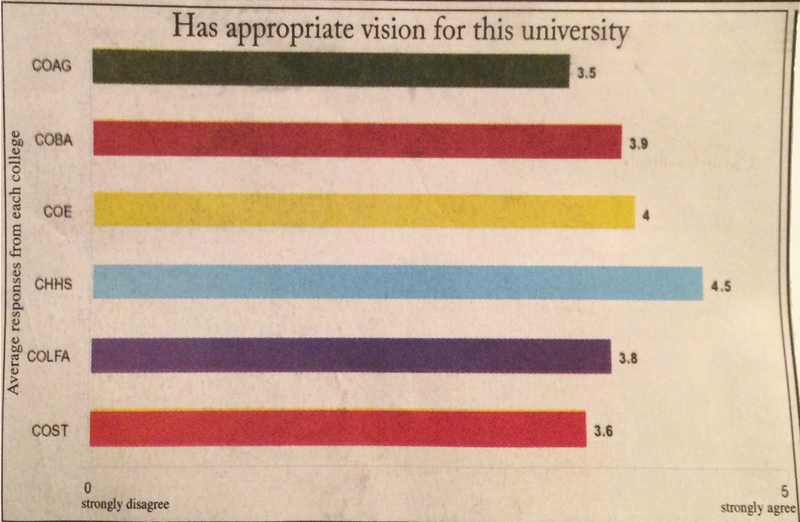 However, the 2014 survey did not. 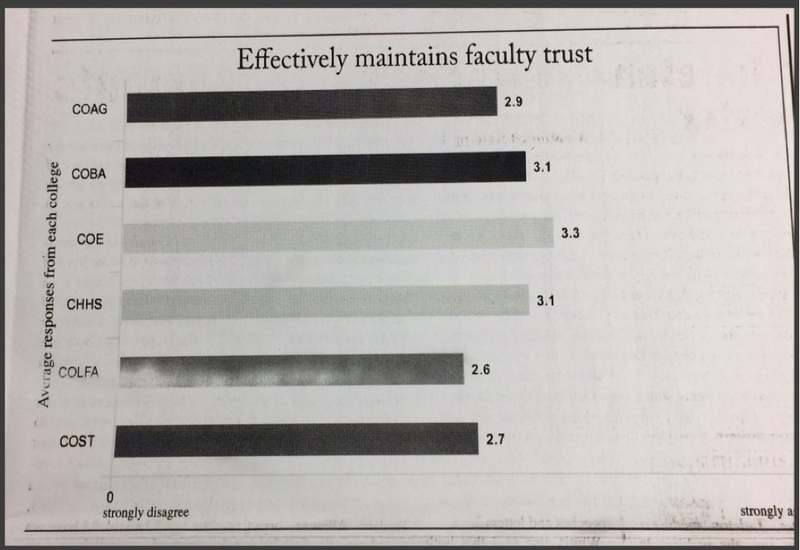 In comments from faculty in the survey, Dottavio received praise for his commitment and hard work in the growth of the university, but received some criticism over faculty morale and ethics in the upper administration. “I believe that Dr. Dottavio has the best interests of the University at heart and does all that he can accomplish to support students, staff, and faculty members,” one faculty member said. “The most significant actions have been the hiring of vice presidents without searches,” said another. Murray also received mixed comments. 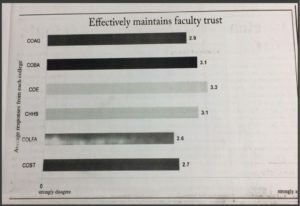 “Vice-presidents should support faculty, not rule over them and make them fear for their jobs,” one faculty member said. But, another praised her leadership. “Provost Murray is a wonderful example of campus leadership at Tarleton! Her connection to faculty and students alike set her apart as one who leads from within, not from above. She truly has her finger on the pulse of the university,” the faculty member said. « Older Article The new normal—the six year plan?